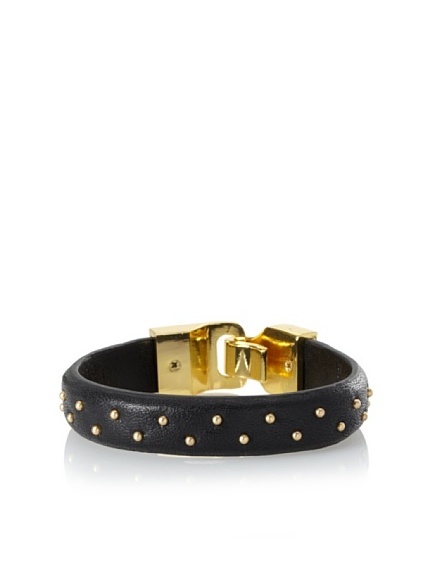 Linea Pelle Jewelry, When it comes to cheeky fun jewelry, look no further than Linea Pelle. 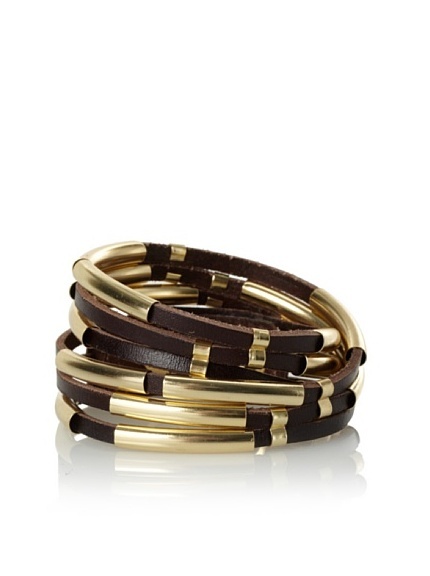 Blending bohemian chic and high-quality materials, this collection of bracelets, bangles and cuffs offers plenty of sizzling options for the summer and beyond. 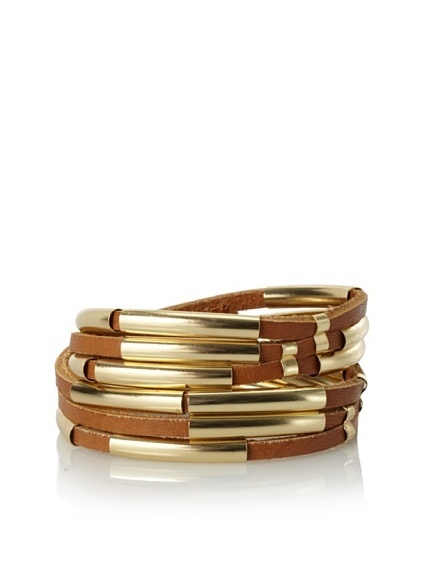 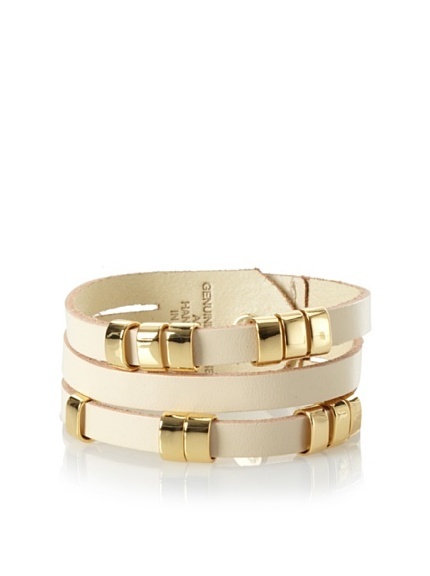 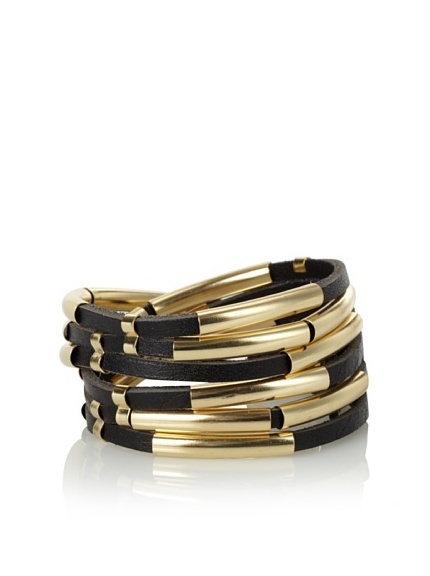 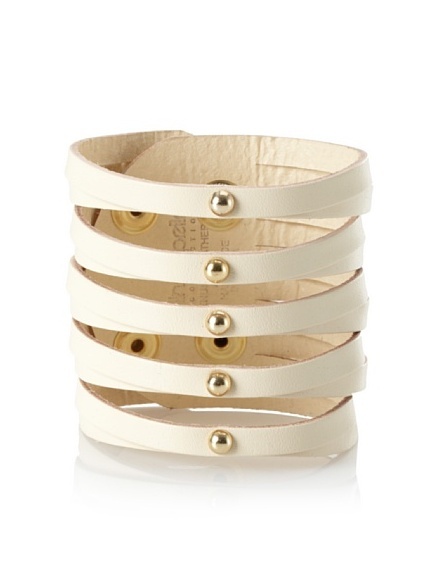 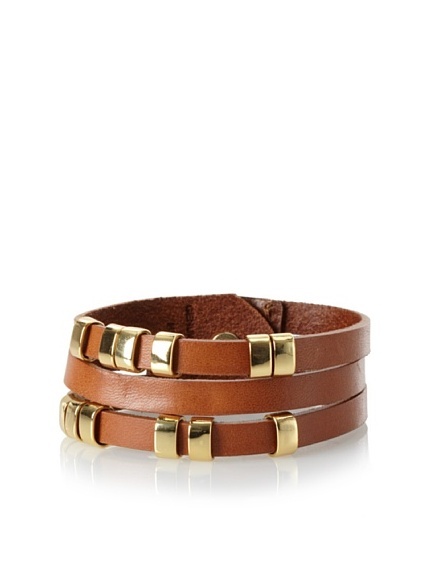 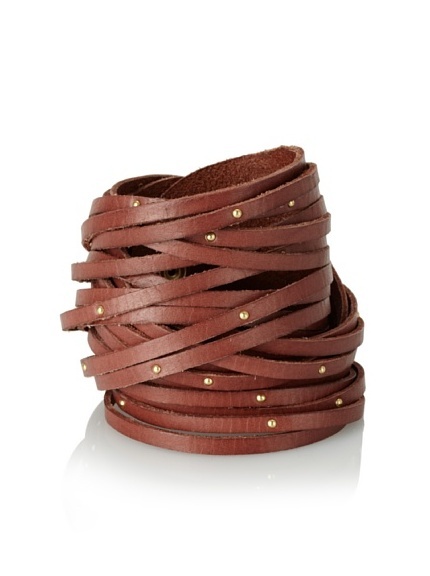 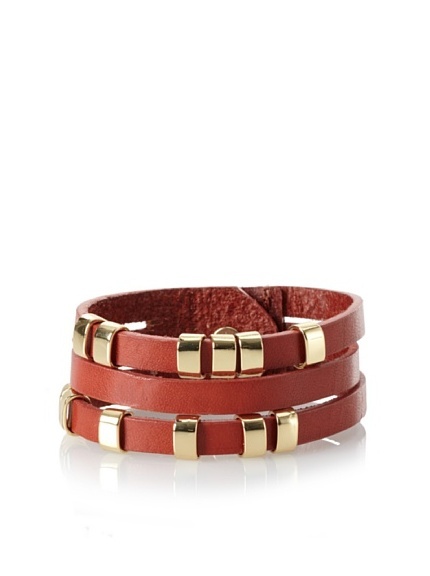 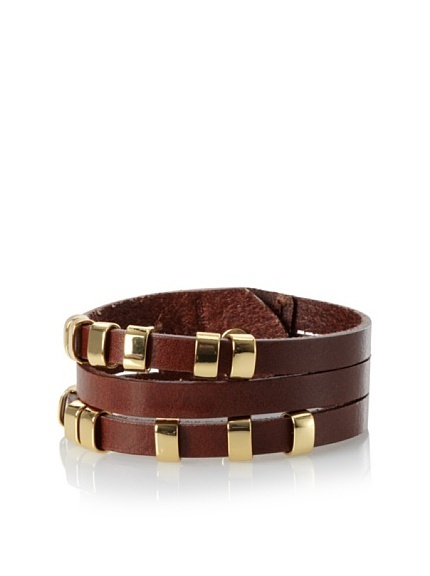 A wide multi-strand cuff in buttery white leather with polished hardware accents. 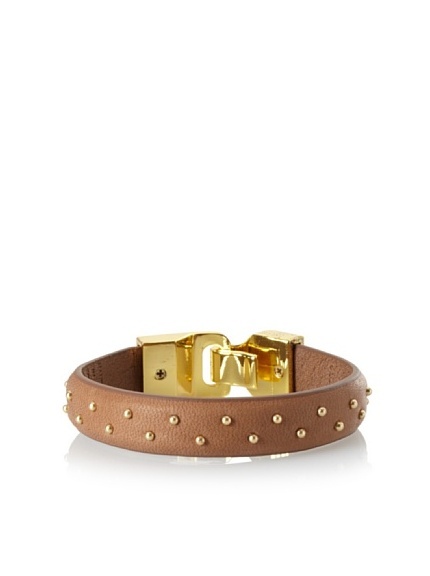 A pink studded bangle. 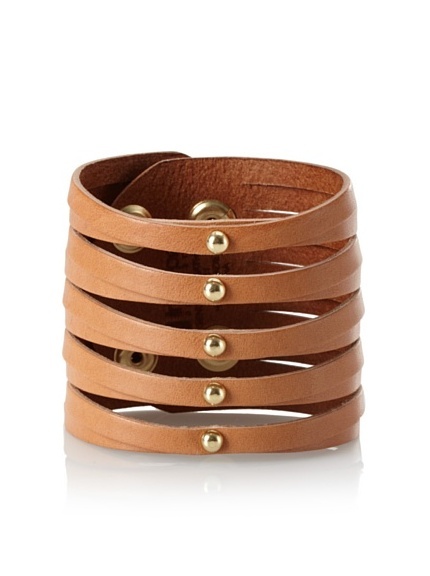 And a thick, hand-dyed leather cuff.